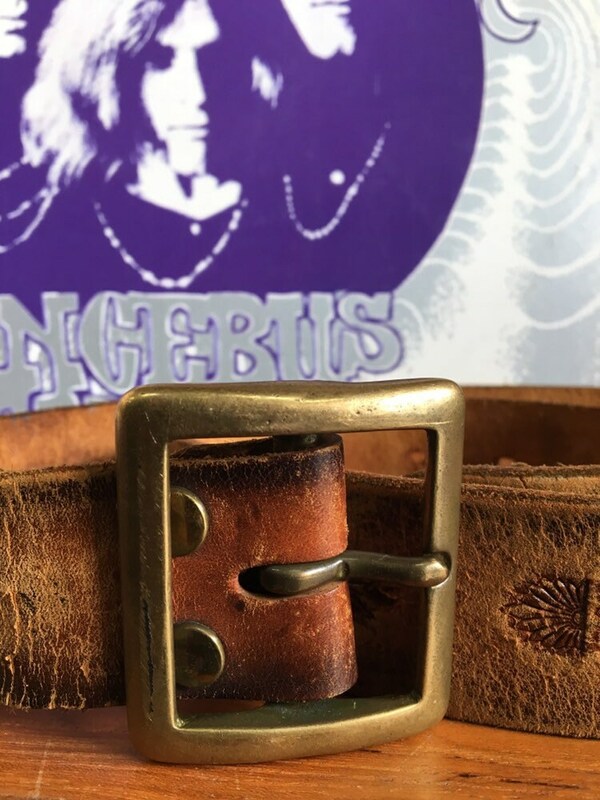 Beautiful seventies leather embossed hand painted brass buckle belt. 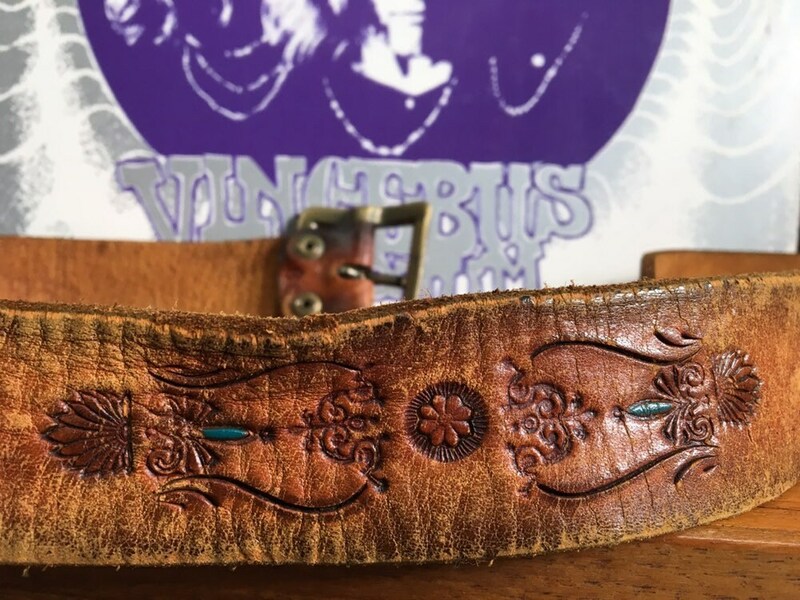 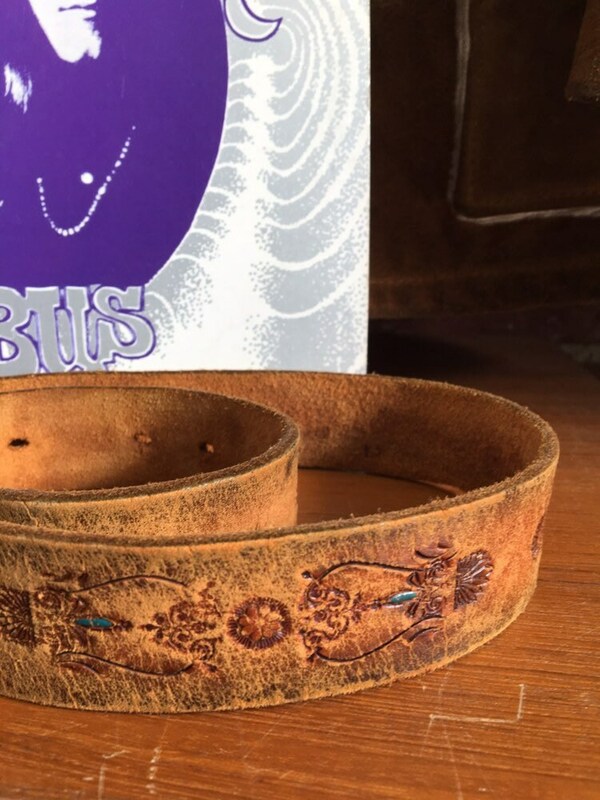 Extremely beautiful tooled work to this belt. 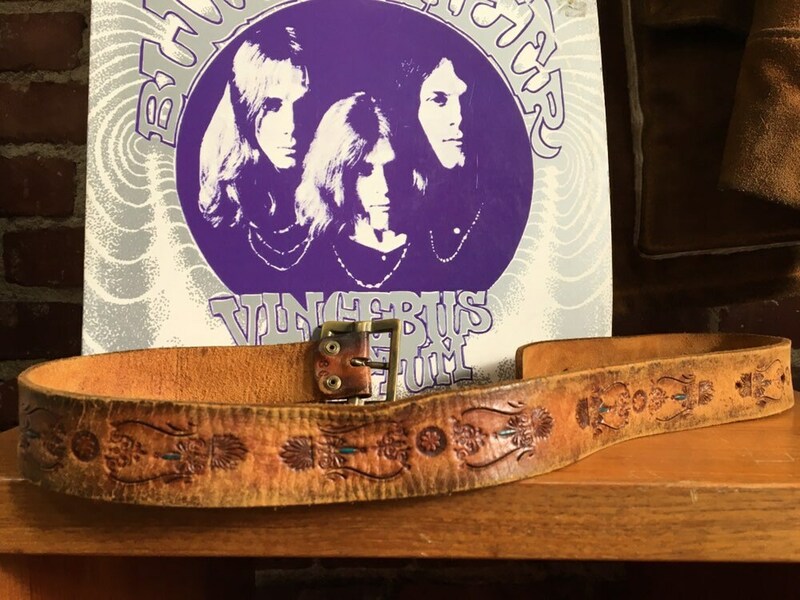 A touch of blue hand painted as they did in the ‘70’s. 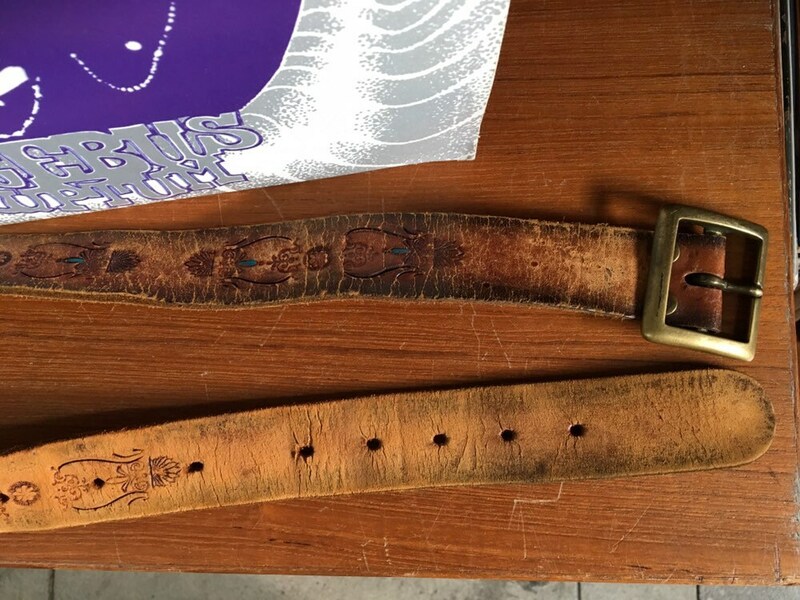 The leather is very soft and broken in, especially where the belt holes are. 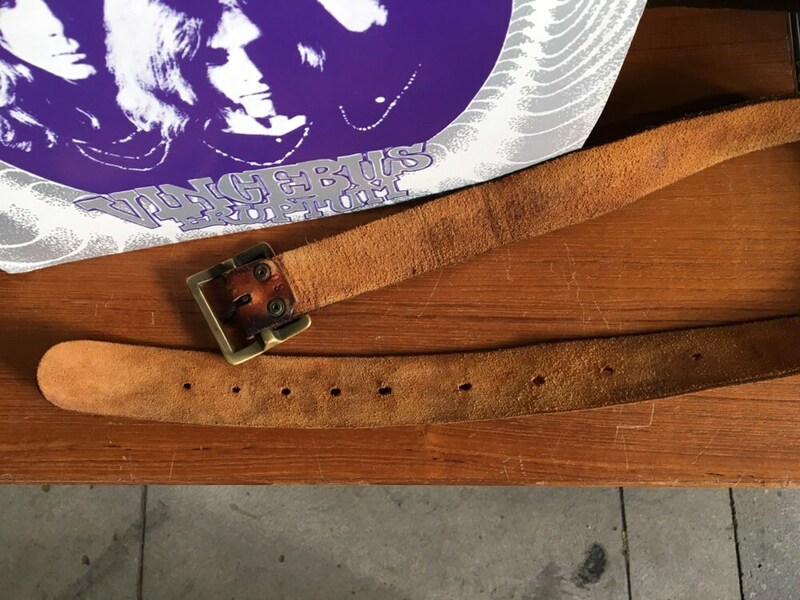 Treat this belt gingerly so it lasts. 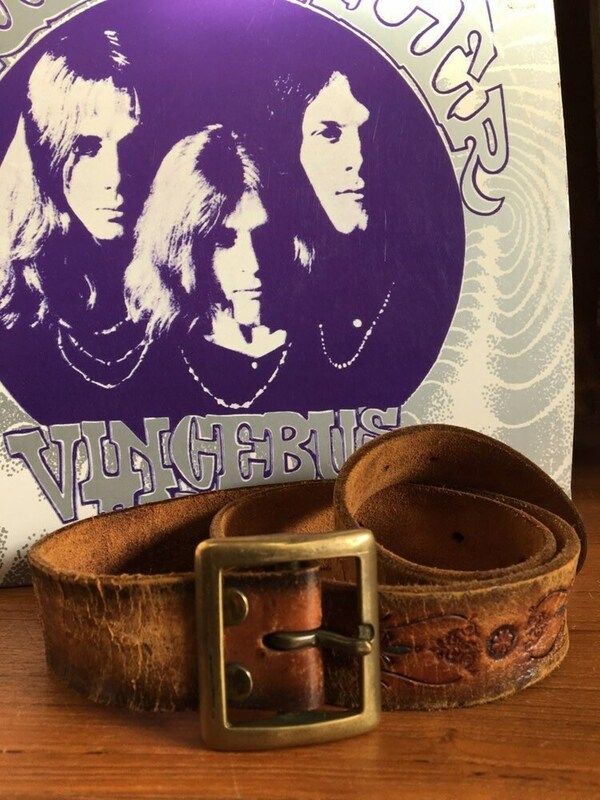 This is not like a new leather belt. 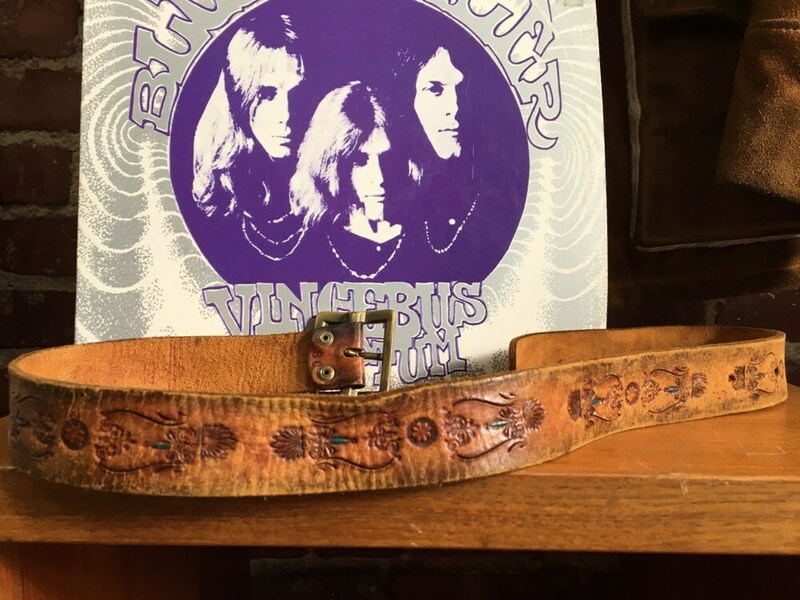 It’s hand made art from the ‘70’s and over 50 years old. 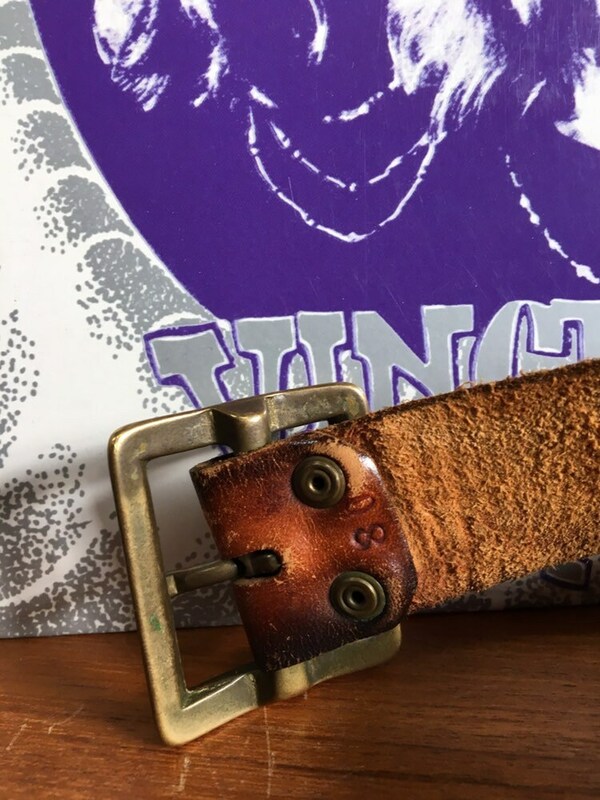 Price reflects the condition of the leather. 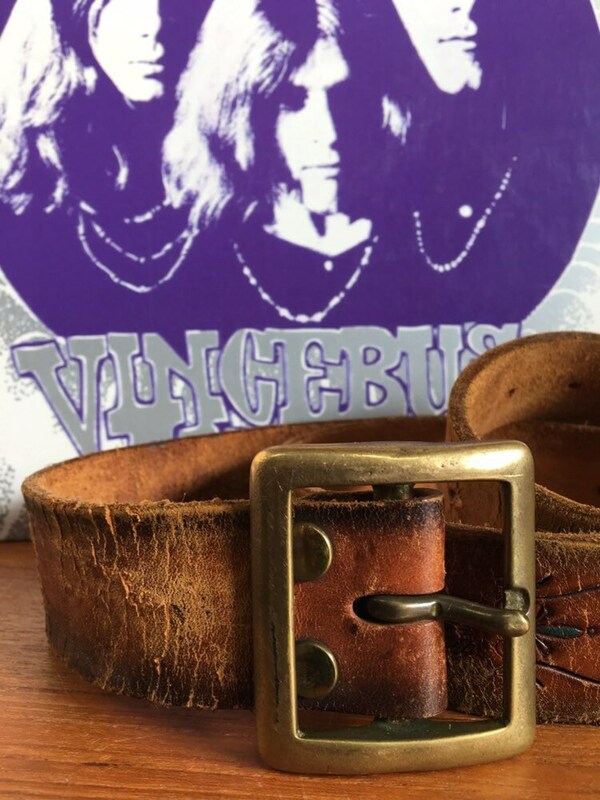 Please do not purchase if imperfect, fragile vintage leather bothers you.